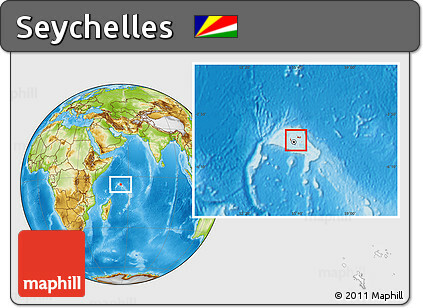 Pirates used to seek the islands of Seychelles as a hideout. It is believed that Olivier Le Vasseur, an infamous pirate, had a treasure worth 100,000 euros that remains hidden in the land up to the present. Victoria, the capital city of Seychelles, is the smallest capital in the whole world. Ian Fleming, the author of James Bond novels and short stories, named his character Milton Krest after a tonic and ginger beer that he tasted while vacationing in Seychelles. This beautiful country island was home to none until the latter part of the 18th century, when its first settlers arrived. Seychelles is the right place to visit if you want to see unique endemic species. These include the paradise flycatcher, the warbler, the jelly fish tree, and the female Coco de Mer, which is the world’s heaviest nut. The country is home to the heaviest land tortoise that is living in the wild. Named Esmeralda, the animal weighs 304 kilograms and can be found at the Bird Island. In the Ste. Anne Marine National Park, you will find the Moyenne Island, which is believed to be haunted by a spirit that guards a buried treasure. Round Island used to be a leper colony. A stone prison still remains up to this day. When it served as host country to the Miss World Beauty Pageants in 1997 and 1998, Seychelles had great international media coverage, enough to boost its tourism industry. Capital City: Victoria is the capital city of the Seychelles and is situated on the north-eastern side of Mahé island, the archipelago’s main island. The city was first established as the seat of the British colonial government. Religion: Roman Catholicism remains the dominant religion of Seychelles but there are also Anglican and Protestant churches and the places of worship of other denominations. These live in harmony alongside, Muslim, Hindu and Bahaï communities based on Mahé, Praslin and La Digue.